The hyperactive U.S. central bank has already said it probably won’t raise rates for years. Now it’s considering specifying levels of unemployment and inflation that could change that. It’s a recipe for confusion. Better to keep quiet and finally let markets reassert themselves. 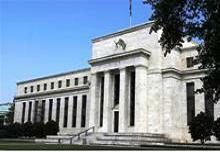 The U.S. Federal Reserve on Nov. 14 published minutes of the Oct. 23-24 meeting of the Federal Open Market Committee. Participants favored using economic indicators rather than calendar dates to communicate future policy, the minutes said. In 2011, the central bank said it wouldn’t raise rates until 2013. It has since extended that timeframe to 2015. In a speech on Nov. 13, Fed Vice Chairman Janet Yellen said she supported the notion of using an unemployment rate threshold when deciding when to raise rates. Chicago Fed President Charles Evans and Minneapolis Fed President Narayana Kocherlakota have also championed using a threshold for unemployment and inflation when considering future policy.